Looking for a Used CR-Z in your area? CarGurus has 268 nationwide CR-Z listings starting at $4,499. Introduced for 2011, Honda's latest hot hybrid hatch gets a refresh for 2013 that includes a power bump and some light restyling. The new CR-Z will still likely take at least 8 seconds to get to 60 mph, but only magazines have criticized the CR-Z's power. Don't let its paper stats fool you: Drivers time and again comment on how they can't wait to drive it every day for its fun spirit and fantastic looks. Fuel economy in the ballpark of 31 to 39 mpg is just an added bonus, and the lack of a backseat is heralded as "smart" by drivers, since any other subcompact is so cramped back there as to be unusable by people. Well, adult people anyway. In short, the CR-Z is an unusual miniature coupe for 2 with a hybrid engine and a lot of middling characteristics, like average acceleration and cargo capacity, but those who love it really love it. This is a car built for the driver, from its fun factor to the dash and its creature comforts, and it is built to the same reliability and responsiveness standards you've come to expect from Honda. The only real downside reported by drivers after this refresh is poor rearward visibility. Glossies are quick to note excessive road noise, too, but drivers don't appear concerned about it. 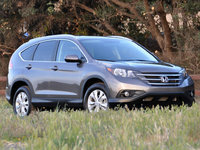 Honda satisfied the magazines with a power boost from 122 hp to 130, and 123 lb-ft of torque to 140—shaving a few tenths of a second off its former 8.8 seconds (6-speed manual) or 9.2 seconds (continuously variable transmission) to 60 mph—and satisfied the drivers with a slight fuel-economy boost plus a new lithium-ion battery capable of holding more charge than the former nickel-hydride unit. Although max cargo capacity is about 25 cubic feet, drivers love the privacy and convenience available with its highly versatile rear end. The visibility thing is an old-school thing—as any CR-X driver would say, that's why they put a mirror on the other side. 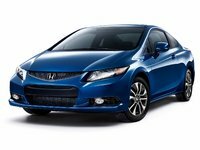 This power boost officially puts the CR-Z neck and neck or better with the Civic Hybrid, but the Hybrid fetches 44 mpg city/44 highway and takes about 10 seconds to get to 60 mph, whereas the CR-Z offers its best fuel economy with the CVT at 36/39, which takes about 9 seconds to 60 mph, or it can get there in about 8.5 seconds with the manual with a rating of 31/38. The Civic Hybrid offers more features, especially since adding such things as a rear-view camera in 2013, but that also comes with an expectedly higher price tag. 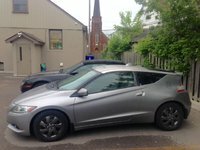 Although the CR-Z isn't quite as feature-packed on the inside as the Civic Hybrid, the Hybrid also doesn't have the slick appeal of a CR-Z nor its tiny turning radius for being nearly a subcompact rather than a compact—and owners are quick to recognize Honda's intelligence in uniquely designing the CR-Z for this size. All other changes are just a few touches to freshen up the outside, otherwise the 2013 CR-Z carries over in the same Base and EX trims with the same features, including 16-inch alloy wheels, keyless entry, automatic climate control and more from the Base. Fully loading up an EX nets features like a touchscreen navigation system with voice controls, 17-inch alloy wheels and performance tires above its default features like heated mirrors and 7-speaker stereo. Of course, that doesn't even mention its beautiful space-age dashboard or 10-second power boost feature, but such things are probably best experienced in person anyway. 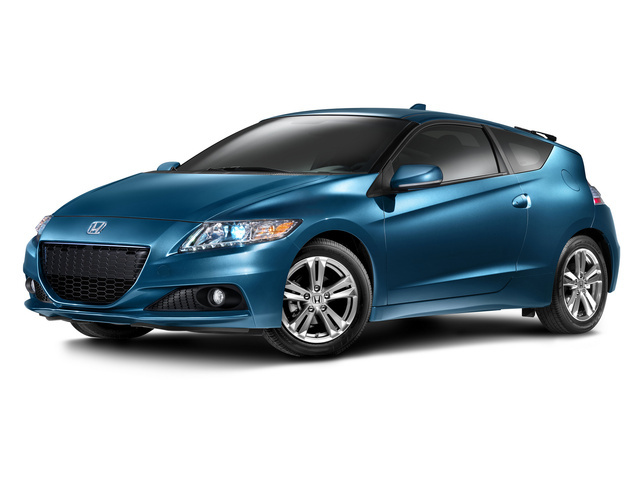 What's your take on the 2013 Honda CR-Z? 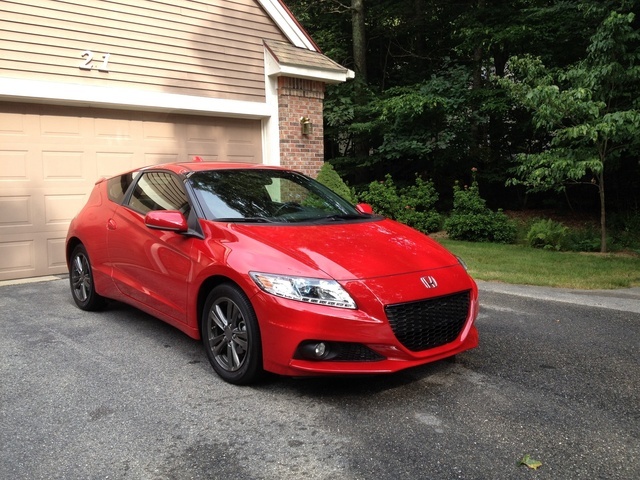 Have you driven a 2013 Honda CR-Z? How Long Is The Life Of 2013 Honda CRZ Battery's Life?